You’ve just finished your run through Rose Rudman Park, and you’re feeling happy and energized. You reach for a nice, cold glass of ice water, but just when you think your craving will be satisfied, you jerk the glass away from your mouth and grab your cheek. 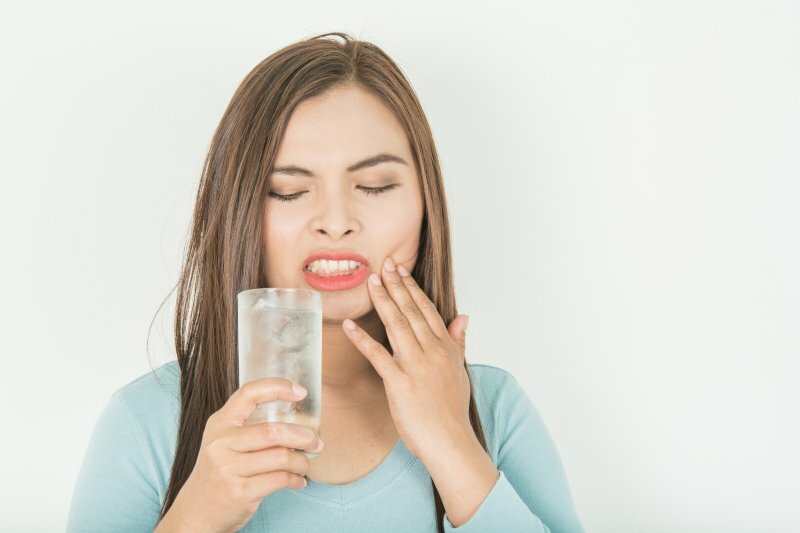 While the sharp pain you felt may be the result of tooth sensitivity, there are plenty of other reasons tooth pain can keep you from the things you enjoy most. This is why it’s important to talk to your dentist about the underlying cause and various treatment options, one of which may be a root canal. Toothaches are annoying and painful; however, they’re unfortunately experienced by most people at some point in their life. When tooth pain hits, it can stop you in your tracks and even derail any plans you had for the day. When the nerve in the root of your tooth is experiencing problems, it will, in turn, cause a toothache. The pain level may vary, and the solution may be easy as flossing to remove food debris stuck between your teeth; however, if the pain persists, it could be the result of another underlying issue. Which Symptoms Indicate the Need for a Root Canal? Although not all types of tooth pain result in a root canal, there are certain signs and symptoms that may point to this necessary procedure. How Can My Dentist Determine if a Root Canal is Necessary? Naturally, any of the above signs are clear indicators that you need a root canal. If the problem is caught in its early stages, your dentist may be able to save the tooth with root canal therapy; however, if the problem has progressed to an advanced stage, you will need a tooth extraction and replacement to prevent further damage. Using his touch, he will palpate the tooth and area surrounding it to determine if there is any feeling of hardness or tissue enlargement. Minor gum boils that can go undetected by patients if the tooth infection is minimal. If your dentist does conclude that a root canal is necessary, you can rest assured that the pain you’re currently experiencing will be eliminated with the help of this beneficial procedure. While many believe root canals are painful procedures, they are not and are designed to an remove the infection that’s causing the pain. No matter your symptoms, schedule an appointment with your dentist immediately. The earlier you catch a problem, the greater chance you have of saving your tooth. Dr. Dennis E. Stansbury earned his undergraduate degree at Texas A&M before pursuing his Doctor of Dental Surgery degree at Baylor College of Dentistry in Dallas. Interested in the ever-changing field of dentistry, he regularly participates in continuing education courses to strengthen his skills and knowledge. He and his team at Stansbury Dental will work to customize your treatment plan, so you will have a complete smile you can be proud to show. To learn more about our services, contact us at (903) 561-1122.